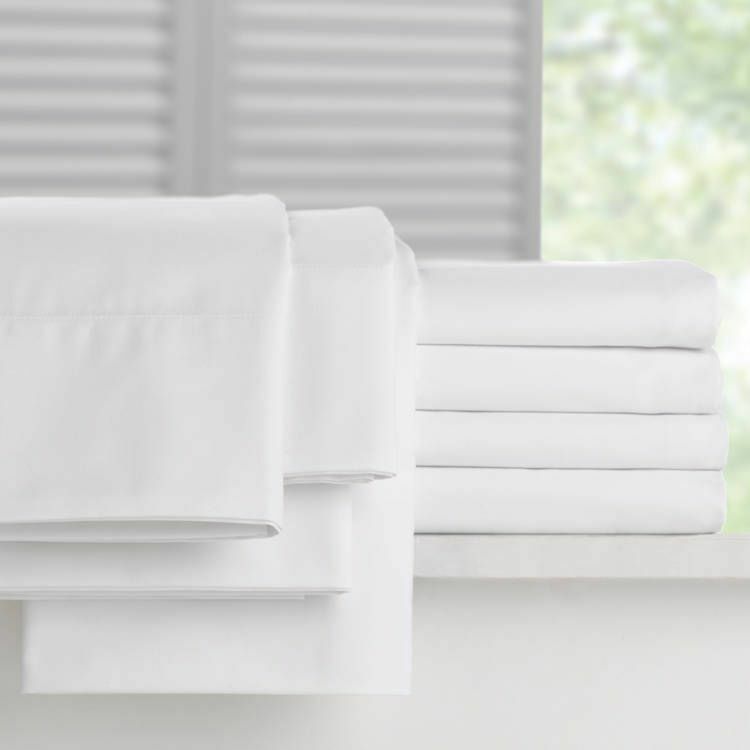 The Millennium Flat Sheets have 2 x 2 inch hems with a color coded bottom hem thread for quick and easy size identification in the laundry and during room set ups. Available for wholesale purchase by the case of 2 dozen flat sheets with Free Shipping on all orders. 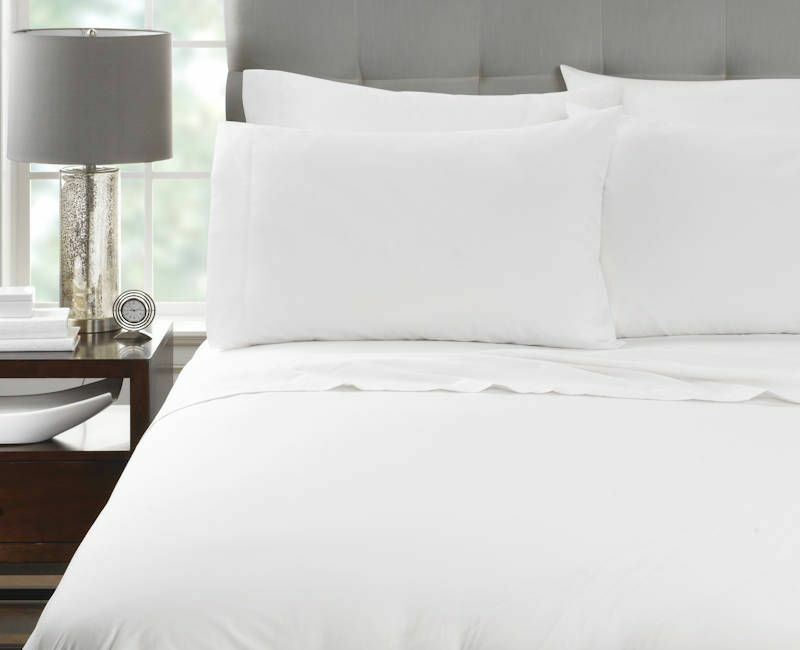 Cotton Rich 300 Thread Count Flat Sheets - 60% Cotton / 40% Spun Polyester Blend. TrueFit Indicator Hem Threads - Sewn-in colored hem threads on flat sheets help to easily indicate sheet size. Flat Sheets available wholesale packed 2 dozen per case.